When you think about someone who is an alcoholic, the mind immediately pictures a dark, dingy and depressing room with a bum passed out on the couch, a bottle of liquor clutched close to their body. While alcohol can tear the lives of individuals into pieces, just as often alcoholics can lead ordinary and successful lives. These people are called high-functioning alcoholics, and while they may seem to be leading a happy life, they are in need of help. A high-functioning alcoholic, also called a functional alcoholic, does not act the way you expect an alcoholic to act. They can be responsible, well adjusted and productive members of society. Some are even extraordinary successful or in a position of power. However, they are drinking frequently, with a persistent need to abuse alcohol, denying that they have an alcohol problem along the way. It is normal to have a drink after a long workday to relax. However, if alcohol has become the primary solution for most situations, it may be a sign of alcoholism. If you need a drink to get the day going, to go to sleep, or to relax or feel relaxed, it may be the sign of a larger issue. Social drinking is quite common, but drinking alone is a whole different story. If you are constantly drinking alone it is a sign of alcoholism. This is especially so if you make an effort to hide the fact that you drank alone. A bottle of alcohol is not a good therapist. If your solution to any emotional or personal problem is to drink, that is a sure sign of a drinking problem. Alcohol is a depressant, and should never be used as a means to cope with emotions or stress. The National Institute on Alcohol Abuse and Alcoholism’s (NIAAA’s) definition of drinking at low risk for developing alcohol use disorder (AUD) is as follows: For women, low-risk drinking is defined as no more than 3 drinks on any single day and no more than 7 drinks per week. 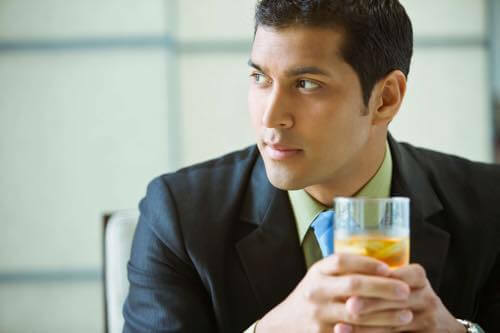 For men, it is defined as no more than 4 drinks on any single day and no more than 14 drinks per week. Drinking that exceeds these recommendations puts individuals at greater risk and increase the likelihood of developing an alcohol use disorder. The Pearson Center for Alcoholism and Addiction Research in San Diego is dedicated to finding a better way to stop alcoholism. If you are a high-functioning alcoholic, we offer clinical research studies that offer cash compensation. If you are interested in signing up for a research study or learning more, contact us today! Give us a call at (858) 784-7867.